Lafayette, Louisiana is a town with wonderful culture that is alive all year long. 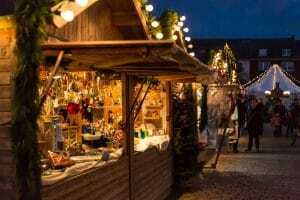 It becomes even more beautiful and bustling this time of year with festive holiday events popping up. Whether you want to eat some special holiday food or make some Christmas crafts, there is something for everyone. This time of year is also a great time to check in with Dr. Young about your smile’s health. Use up your 2018 dental insurance benefits before the year ends, and get a head start on your New Year’s smile resolutions. The Alexandre Mouton House is decorated richly for Christmas. Throughout the month of December, visit the historic property to see the lavish and fine decorations. There will be a cocktail buffet as well as entertainment by the St. Mary’s Bell Choir to enjoy throughout your visit. In Scott, LA at La Maison de Begnaud St. Aubin Park, enjoy the official lighting of the Christmas tree on December 5th. Santa Claus will be attending to visit with the kids and take photos. The event is free and the Farmers Market will be open for shopping. Throughout December, it is Merry-Making Season at The Shadows on the Teche. Get a glimpse of life in the 19th century with guide tours of the ornately decorated property.